For optimal experience, view on full screen with headphones. Watch on Vimeo to view in HD. 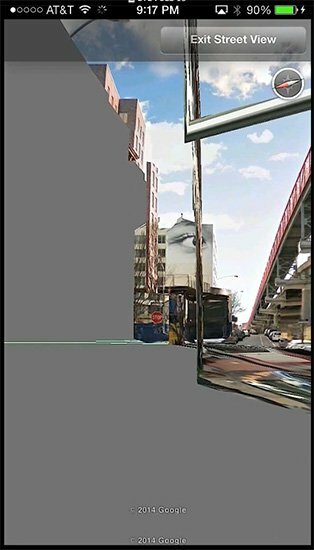 EYE FULL is the third film I have made about cities using material readily available online. 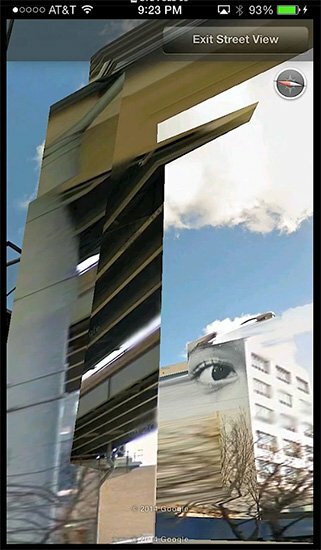 It is a record of three ‘eye’ movements, unsanctioned three-fingered explorations of the virtual city in and around Google Street View’s image world, captured ‘live’ from the touch-screen of my smart phone. The sounds, created live by Taylan Cihan, were recorded at a performance in a chapel on the Cornell campus. 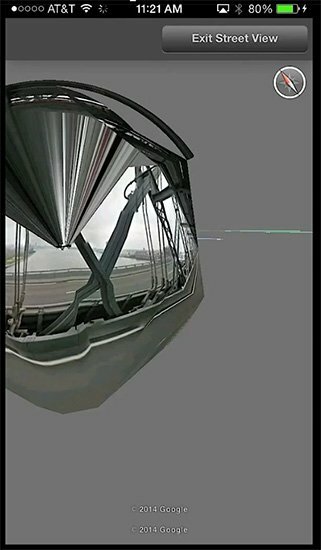 While sitting and listening in the audience, I started testing out some early movements in Street View on my smart phone, ‘accompanied’ by the sounds that filled the space. Afterward I showed him live on my phone what I had been doing during his performance, and he immediately agreed to collaborate on a future film based on the obvious affinities between out two modes of working. 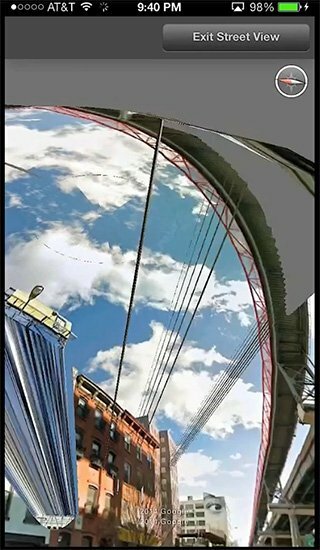 From the first moment, the city that slides into view is a fragmented world of image assemblies that bears little resemblance to Google’s familiar simulations of moving along the street. At best we accept it as a provisional place of images, flat or curved, which seem to have acquired gravitational force that alternatively attract, or repel us. The whole city mimics our current state of distracted attention where we are surrounded and tempted by images on screens that compete with the actual city at every turn. 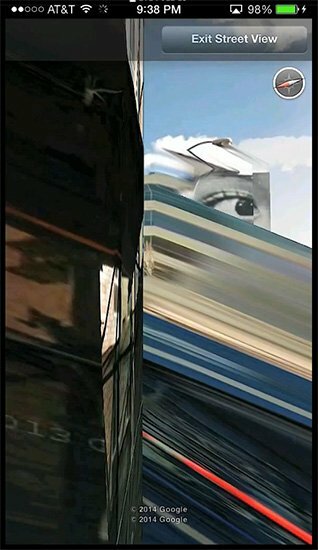 EYE FULL shows a city shaped by intermittent vision disturbances, dislocation hallucinations and an acute sense of a doubling of consciousness. Movement in this world is an on-going struggle to realign the axis of our estranged vision with the axis of the world. We are stalked by a sentient city made strange by our looking back at it. Is it merely a symptom, or the premature return of the fantastic possibilities that are constantly suppressed and purged from our actual and virtual cities? Video still from EYE FULL. © John Zissovici. John Zissovici teaches architecture and related matters and immaterialities at Cornell University. In between architectural projects from the scale of a house down, he has been focusing his attention on large scale installations and ‘films’ using ‘found footage’ from image archives. The work has been shown at the Phoenix museum of Art, The Burchfiel Penney Art Center in Buffalo, NY and galleries and conferences internationally. Text and video © John Zissovici. Sound by Taylan Cihan. EYE FULL from John Zissovici on Vimeo.